I had been playing the same trumpet mouthpiece since 1994. That changed today. 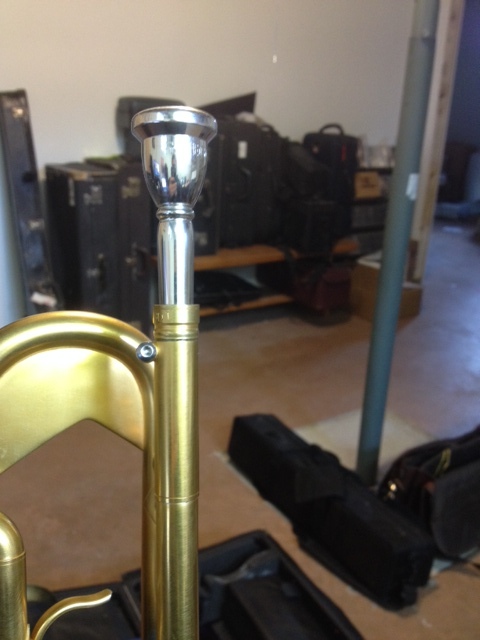 I now am playing the Griego #1 trumpet mouthpiece and the FL 2C flugelhorn mouthpiece. My old pieces were not a good fit for me anymore; even though they were comfy and I knew them well it was time for a change. I chose to work with Griego in making new mouth pieces because Christan Griego is simply one of the best around, a brass wizard if you will. We worked together on the new Edwards X-19 Flugel project and Edwards trumpets related things. I knew he understood my sound concept and my overall approach to brass playing. We started with my old mouthpieces and made them better, clearer, crisper, easier to play. The Griego line of trumpet and flugel mouth pieces are the end result of wanting to make the best tools for the job and striving to make that job easier to do. I am proud to play them. They’ve made beautiful music easier to make. Christan will have them at the Midwest band and orchestra clinic in Chicago if you’d like to check them out (and you should! ).